Heading into a 90,000-seat stadium with all his world titles on the line, Anthony Joshua admits that the fear of failure is hard to ignore. Joshua squares off against Alexander Povetkin on September 22nd at Wembley Stadium, and the WBA, IBF, and WBO titlist puts those belts, his undefeated streak, and a chance at unifying against Deontay Wilder on the line against the hard-hitting Russian. 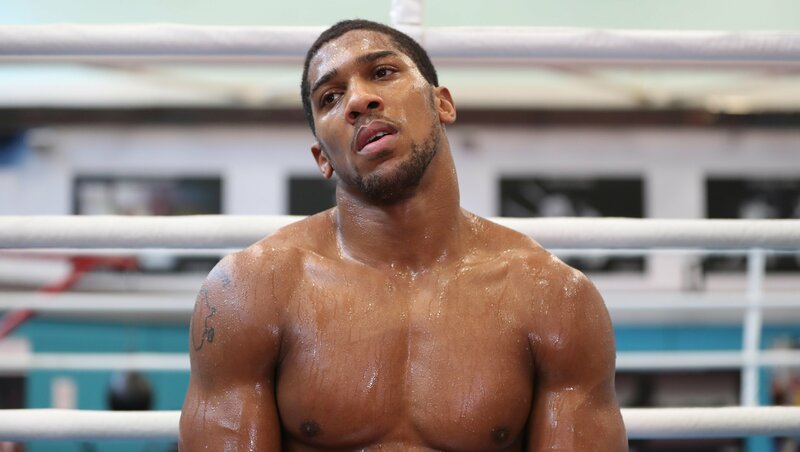 “The keys to victory for me in this fight – it’s hard because you know what it’s like when you fight, it’s a lot of pressure,” Joshua told Sky Sports. “Ultimately as much as we think about winning, I think about losing. I can’t afford to lose. “It’s a difficult fight when you are fighting someone like Povetkin, because it’s like a game of chess,” said the former Olympic champion about his opponent. “No-one could ever say, Joshua can box,” he said of various criticisms on his ability heading into his last fight against Joseph Parker. “They can say he’s a king of destruction, he can fight, he can knock people out. “It looked so easy after 16 fights, but they could never say I boxed, so after this fight, I knew that no-one could tell me nothing.